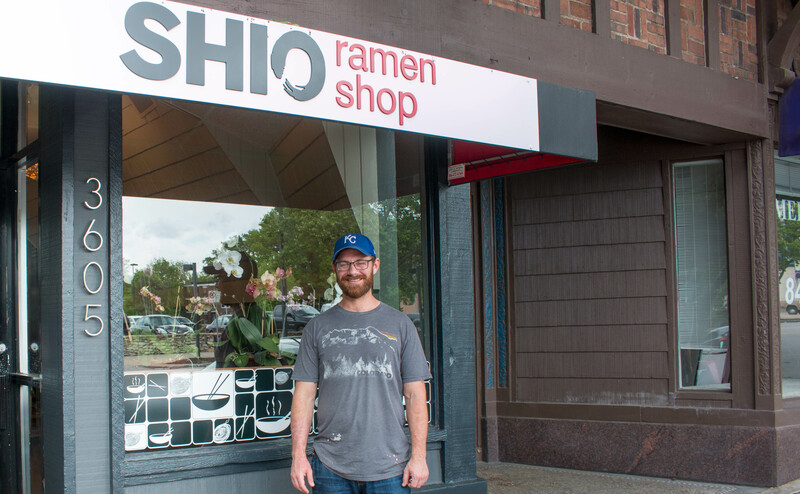 Patrick Curtis, owner of the Shio Ramen Shop at 3605 Broadway makes the noodles and can talk their history. Ramen restaurants began as very small and cheap places where men would grab fast food on the way home from work. Then, “it went from junk food to somewhere you would go out to eat, even with a date,” Curtis said. As the shops became larger and classier, it became clear that women were a big reason. “The idea was to get a place where the female clientele would go and they’re comfortable and the men will follow,” he said. And couples have contributed to his business since it opened April 4 in the space that used to house Nabil’s and later the Grille on Broadway. He planned to be open for lunch but found that for now he can only handle hours of 5 to 10 p.m., Tuesday through Saturday. 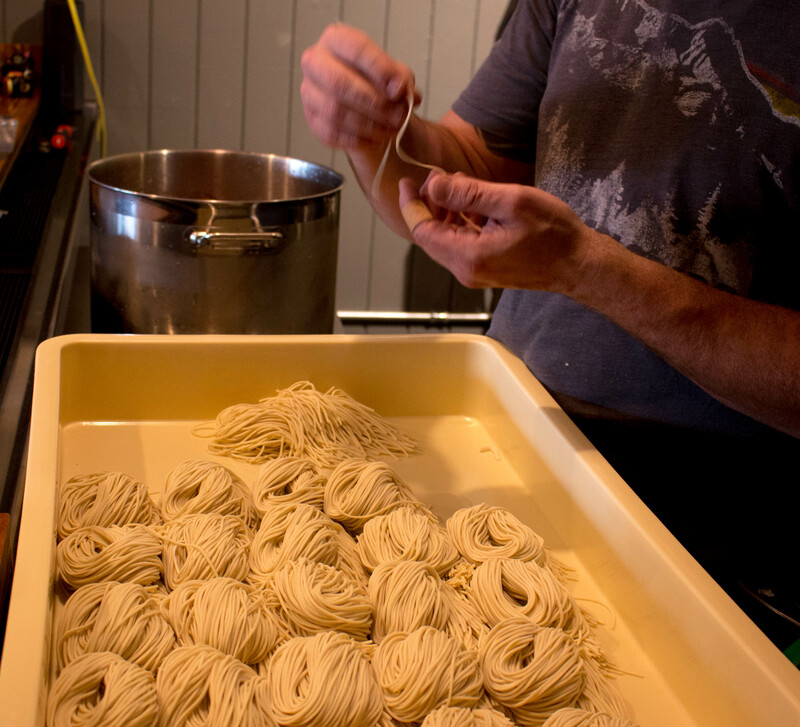 He makes all the noodles on a $32,000 machine made from a Japanese design by a jet engine engineer. All stocks are also made fresh. Two menu items – Shio and Shoyu – are standards at $12 each and other items vary, including a vegetarian offering. Curtis, who graduated in 2000 from a culinary school in Boulder, wasn’t always a noodle man. He worked in Wyoming restaurants, where he got bored with steaks and potatoes. The resident of the West Plaza neighborhood also worked in many restaurants in Kansas City, including EBT, JP Wine Bar and 40 Sardines. GLAD to have another good place to eat close by!